Sedation dentistry is an excellent option for patients who are nervous about their upcoming visit to the dentist. There are different levels of sedation. Your dentist may recommend moderate sedation if you have moderate dental anxiety or require a lengthy, complex treatment. Be sure to tell your dentist about your full medical history before receiving any sedatives. Your dentist will consider your current medications and medical conditions before confirming that moderate sedation is a good choice for you. Moderate sedation is achieved through oral medications or intravenous (IV) medicines. It’s also referred to as conscious sedation because the drugs won’t force you to fall asleep. However, you’ll be completely relaxed, time will seem to pass quickly, and you probably won’t remember much about your treatment. You may be groggy for quite some time afterward. For your own safety, please arrange to have a responsible adult take you home and stay with you for a little while. Park 56 Dental is a leading provider of sedation dentistry services in NYC. New and current patients can give us a call at (646) 783-3529 if they have any questions about upcoming dentist visits. Dental sedation has allowed countless patients who previously avoided the dentist out of anxiety to get the treatments they need. Sedation also allows your dentist to combine multiple treatments into a single appointment, saving you time and money. 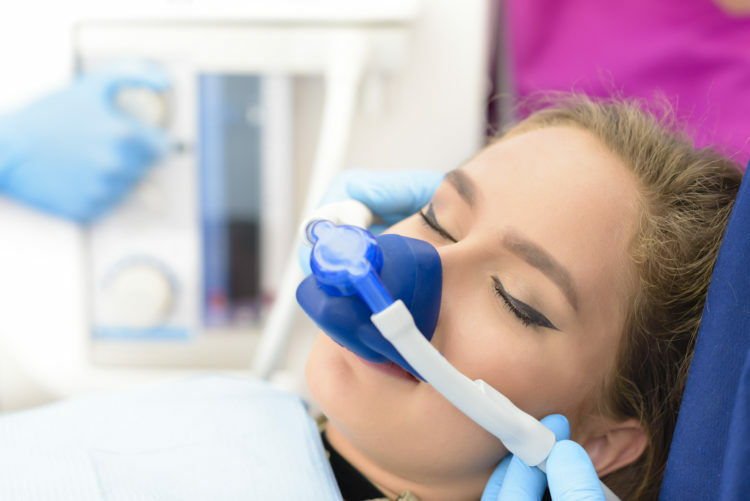 There are multiple forms of dental sedation, from mild nitrous oxide—better known as laughing gas—to deep IV sedation. Your dentist will help you select the best kind of sedation for your needs. Here is a closer look at what you can expect before and after your sedation dentistry appointment. Your dentist will provide you with instructions for preparing for sedation. It is important to follow them closely, as failing to so could lead to your appointment being rescheduled. In some cases, it is not necessary to do anything other than arriving at your appointment. This is the case for nitrous oxide. For other kinds of sedation, you may need to avoid eating within six hours of your appointment and drinking for two hours before your appointment. If you are taking an oral sedative, you will need to take the pill at the time requested by your dentist, to make sure the sedation is in effect for your appointment. Before your sedation dentistry appointment, you should also arrange for someone to take you to your appointment and drive you home afterward. With some forms of sedation, such as nitrous oxide and intramuscular injections, the effects wear off quickly. However, other forms of sedation will leave you feeling tired and groggy for a few hours afterward. It is recommended to take the remainder of the day off to relax at home while the sedative wears off. All forms of sedation can cause headaches and nausea, but these symptoms are typically mild and clear up quickly. Could sedation dentistry be right for you? The best way to find out is to schedule a consultation with Park 56 Dental. You can make an appointment at our dental office in NYC by calling (646) 783–3529. 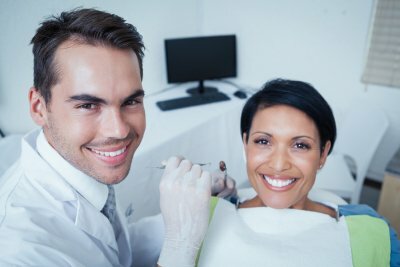 Is Sedation Dentistry a Good Option for You? If you need to have dental work done, you deserve to work with the best dentist. However, if you are like many people, you may feel anxious at the idea of visiting even the best dentist. If the idea of everything from a dental cleaning to a root canal fills you with fear, ask your dentist about sedation dentistry. This dentistry option can make sure you are comfortable and relaxed whenever you are in the dentist chair. Keep reading to learn why sedation dentistry is a good option because it calms nerves, comes in numerous forms, and permits communication. If you feel nervous even when you visit the dentist, sedation dentistry may be right for you. Many patients feel everything from mild discomfort to extreme fear when visiting a dentist. Unfortunately, dental anxiety can cause people to postpone dental services that are essential to their oral and overall health. With sedation dentistry, you can get the dental work you need without ever feeling nervous or overwhelmed. 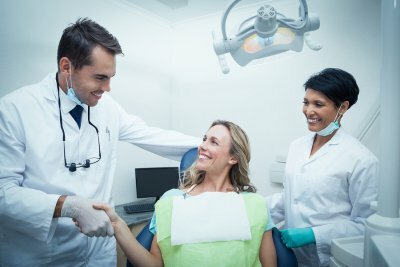 The top dentist offers a wide range of techniques to make you feel comfortable throughout your root canal, dental implants surgery, dental cleaning, or cosmetic dental work. Deep sedation is ideal for an accident that requires emergency dental care or a more invasive procedure like placing dental implants. With deep sedation, you will sleep for the entire procedure. If you prefer to communicate with your dentist, you can still benefit from sedation dentistry. Mild sedation like laughing gas allows you to remain awake but calm, while light IV sedation creates a deeper state of relaxation but maintains consciousness. Both kinds of sedation dentistry are recommended for both simple and complex procedures. Call Park 56 Dental at (646) 783-3529. We offer sedation dentistry near NYC for nearly all our dental procedures, including a dental cleaning, emergency fillings, veneers, or a root canal. Call us today to speak to a sedation dentist. The best dentist in NYC relies on sedation dentistry near NYC to help patients ease anxiety. Sedation dentistry is recommended for many procedures at the dentist office, including dental cleaning, root canal, and smile restoration. 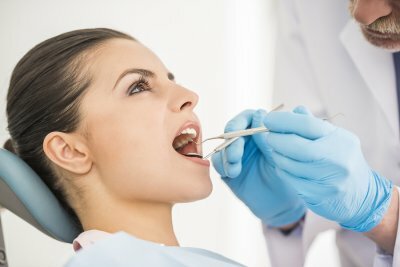 The top dentist in New York offers sedation dentistry to help patients relax during simple and complex dental procedures. 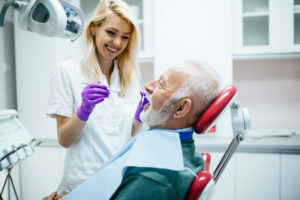 A sedation dentist can ensure that you experience no pain or discomfort during your dental work—and do not even remember the procedure afterwards. When you visit the best dentist in NYC, your dentist can perform any procedure safely and pain-free. Patients will have no sense of time, smell, or sound. Park 56 Dental is pleased to offer all our New York area clients the very latest in sedation dentistry . Never let your anxiety about visiting a dentist get in the way of your oral health. Call us at (646) 783-3529 for an appointment with a sedation dentist near NYC. Many patients feel anxiety about visiting the dentist. There are, however, some options available which can help you to feel more relaxed whilst receiving treatment. At Park 56 Dental, we offer sedation dentistry in NYC. Intravenous (IV) sedation is a widely used treatment which is safe for most patients. IV sedation involves placing a catheter in the patient’s vein to allow the dentist to administer a sedative drug. IV sedation is not the same thing as anesthesia. The drugs used are not painkillers. The dentist will still administer local anesthetics to numb the physical pain of the treatment. The patient will remain fully conscious, but in a state of extreme relaxation. The drugs used also cause temporary amnesia. As a result, most patients find that time passes quickly and that they are barely aware of what is happening. Intravenous sedation is safe for most patients. However, you may not be a suitable candidate for IV sedation if you are pregnant, are allergic to benzodiazepines, or are inebriated. If you suffer from glaucoma or certain types of depression, you may need to consult your dentist. You should also seek professional advice if you are a habitual user of benzodiazepines or other sedatives. What Steps Do I Need to Take Before and After Treatment? Inform your dentist in advance if you wish to have IV sedation. You may be required to refrain from eating or drinking for eight hours prior to treatment. After sedation, you should rest. Do not drive or partake in strenuous activities. Consult your dentist before drinking alcohol or taking medications post-sedation. If visiting the dentist fills you with fear, IV sedation may help you to undergo even the most complex dental procedure calmly and free from anxiety. Park 56 Dental is one of the best dentists in NYC. To learn more about our sedation options, call (646) 783-3529. Let us help you lose your fear of dentists for good.